Our Special Care Unit is a home for residents with the debilitating diagnosis of Alzheimer’s disease or other forms of dementia. 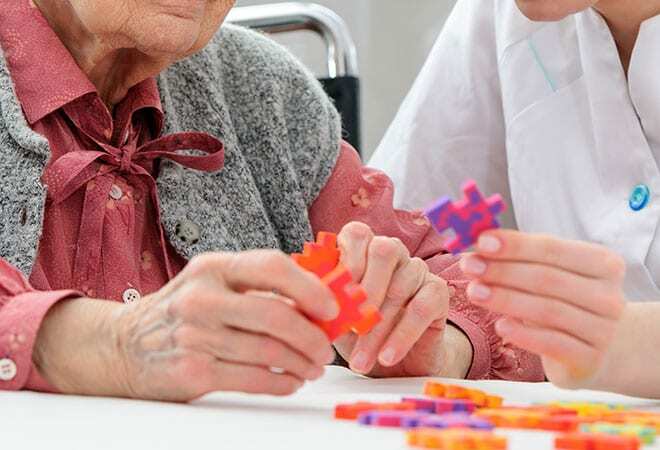 Our caring team of professionals is specially trained to assist residents with the usual services provided by Prairie Senior, in addition to providing stress reduction/management, memory support, communication support and the emotional support needed by these residents. The unit provides a comfortable, caring environment, while delivering a higher level of care and safety for the residents who live there. We utilize many strategies to enhance the quality of life of the residents of the Special Care Unit. Contact our Social Services representative at (785) 462-8295 to coordinate care or ask questions. You can also fill out the contact form for more information.